Hello and welcome to the “(Sort of the) Guitar Noise News” for May 2014. I say “sort of the” because this is more of those occasional blogs I seem to write when the mood strikes me. There’s not all that much in the way of “news” to relate (for the moment – that will be changing in the upcoming weeks) but for whatever reasons I find myself thinking a lot about this incredible morning from ages ago. I’m pretty sure it was a Monday because at that time in my life I got Mondays off from the restaurant I managed and, before band rehearsal in the evenings I got to goof off a bit, visit friends, visit shops, maybe even just go to the lakefront and read. But this particular Monday I was in a record shop. And I’m embarrassed to admit that I don’t even remember the name of the place. It was right by the corner of the Dempster Street elevated station in Evanston, which was less than a block away from the Sound Post, the only real musical instrument shop in town. This was long before the days of Guitar Center, but in terms of size, Sound Post had to be the biggest music shop I’d ever seen in my life. I’d go there almost on a daily basis, which was more than just a little silly all things considering. The local joke is that we called the place “Costs Most,” but there wasn’t anywhere else in town to buy stuff and they did occasionally have an honest-to-God left hand guitar in the store. Sometimes as many as six, which even these days is a miracle of epic proportions. It’s likely I stopped into the record store on the way out from Sound Post, a pit stop before heading someplace else. As always, an album was playing through the store’s speakers, probably something that had come out fairly recently. As I looked through the record stacks, the music came to an end and the man working the morning shift put another disc onto the turntable and this song came on. And I found myself totally mesmerized. Even though I’d never heard the song before, it was like I knew it totally from enjoying it countless times. I went to the counter, asked after and bought Arthur (or the Decline and Fall of the British Empire), which had to be close to ten years old at that point. And so began a lifetime of listening to Ray Davies and the Kinks. 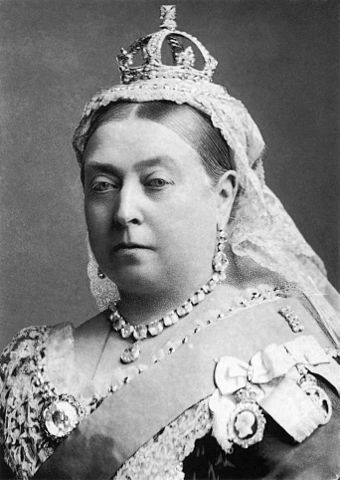 “Victoria,” as I said, felt both immediately new and exciting while also being comfortable, the kind of feeling you have with your best friends, even one you’d not seen, talked, or connected on Facebook for decades. Arthur ultimately led to my tracking down every Kinks album I could get my hands on, as well as more than a dozen concerts and shows, even a solo Ray Davies show called “Storyteller” that would eventually become the template for the VH1 show of the same name. It’s funny how much of life can be remembered through a single song. There was a car ride back from practice, roaring down the Eisenhower Expressway while our bass player roared with delight listening to Dave Davies’ gleeful hooting during “Victoria’s” last verse. Or the show at the Riviera, literally three blocks from my apartment at the time, where there were no seats and everyone danced the entire evening. 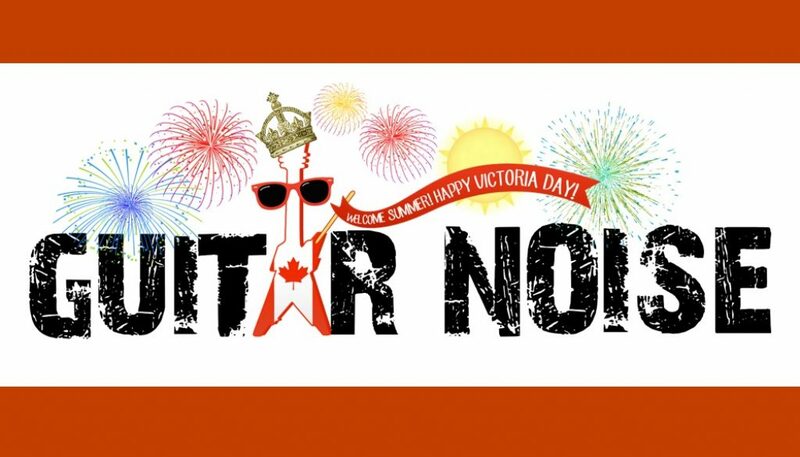 In Canada, from my understanding, Victoria Day is the kickoff of summer. And that may have been exactly what I felt all those years ago, listening to “Victoria” for the first time, a joyful how-can-anyone-not-know-that-life-is-amazing kind of state of mind. So for whatever it’s worth, I’d like to give everyone this amazing gift. Or, at the very least, hopefully send you back scurrying through your own memories to find the song that does it for you. And not to worry, we here at Guitar Noise will be back incredibly soon to bring you more music and lessons and observations. It’s going to be a great summer! I just bought your most recent book idiots guide to playing guitar I have some other books that have instruction clear but I like yours because the way that you describe what you must do is so clear as well the lessons are backed up on line, I would say that I am an intermediate player just starting to develops my own style for the feel to playing, the hardest thing for me is to remember the notes and the chords as to my playing I read lots of music tabulation and reading the verses listening to the music I love to hear, as of yet I haven’t tried to play along with the songs that is where I must go I feel that this will be the way to learn. Thanks for this clear and susinct book, just bought it and can’t put it down I will be looking up the other books that you have done.